The Best Turnkey Solution for Sales And Service. 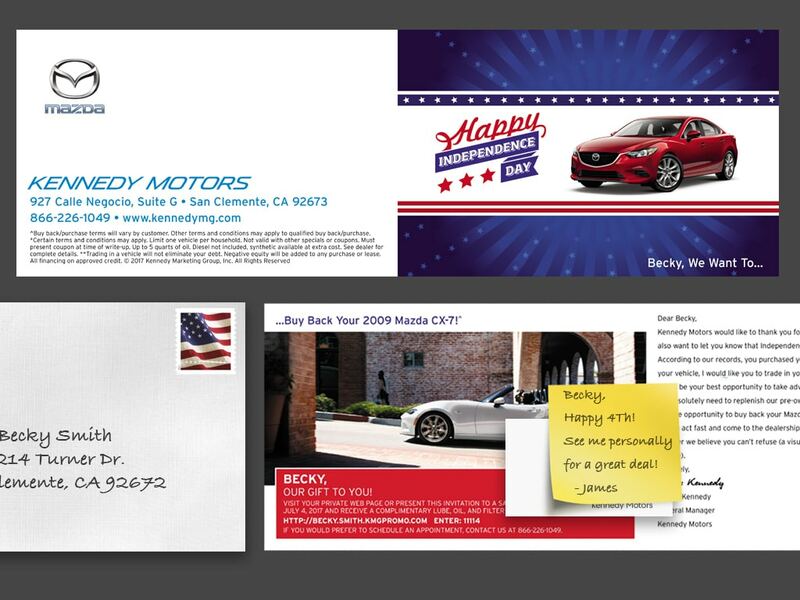 Choose a campaign that drives traffic to your showroom and your service bay. 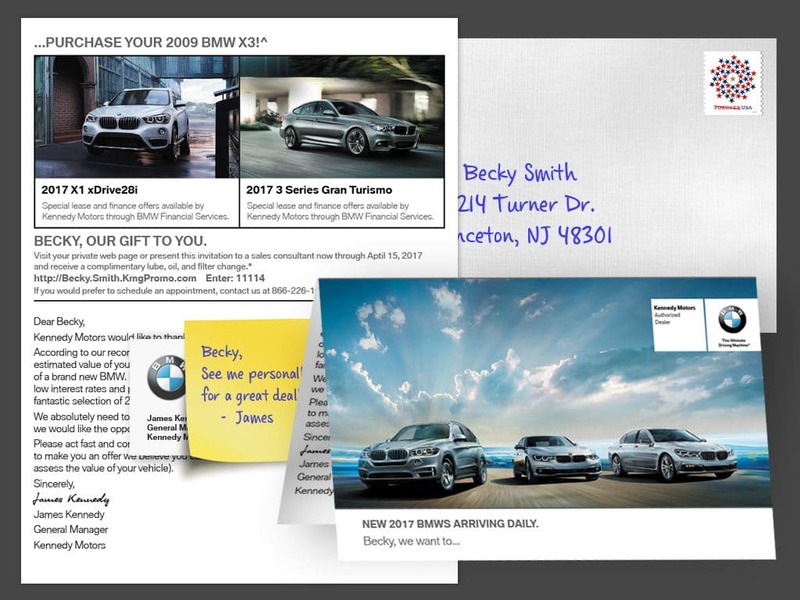 An effective direct mail program generates higher open and response rates than digital. We believe in the power of positive interruption. A hand-addressed, personalized invitation, written by a real person, has the unique human touch and feel that instills curiosity, excitement, and generates much higher-than-average open rates. 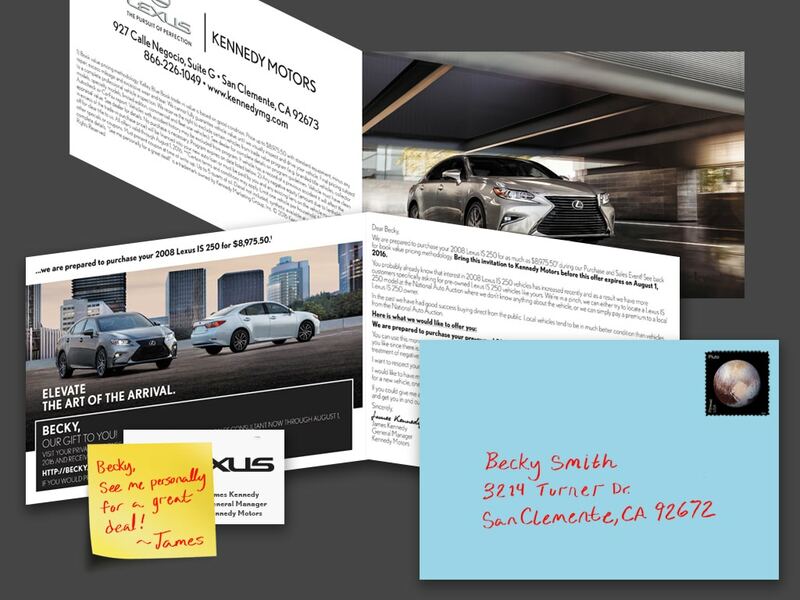 In a stack of everyday mail, they won’t just open your invitation – they’ll open yours first. Track open and response rates of every email, pURL visit, and lead submission, so you know exactly how many leads are being generated by the campaign. Receive a detailed ROI report that provides the total vehicle sales and service visits generated by the campaign. 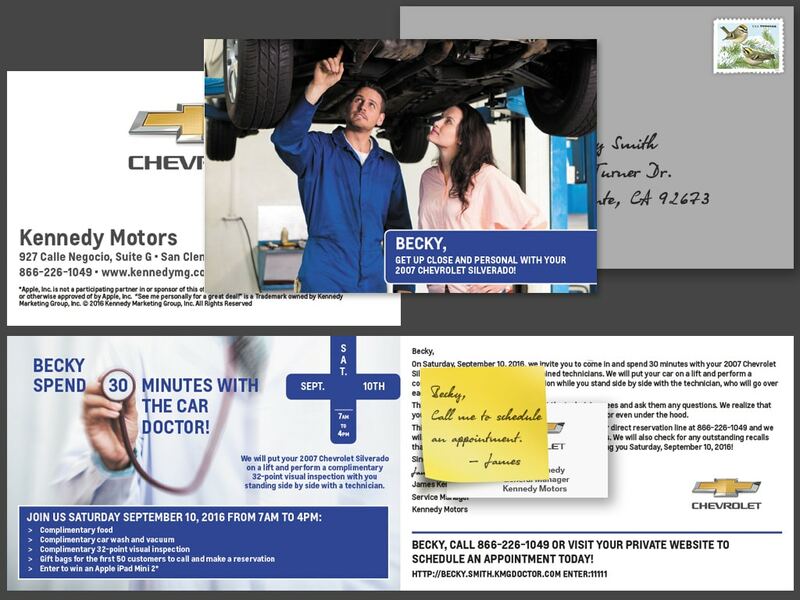 When you combine our hand-addressed mail presentation, targeted data lists, and conceptualized art design, it’s no surprise our programs generate a higher open and response rate than any regular direct mail on the market. 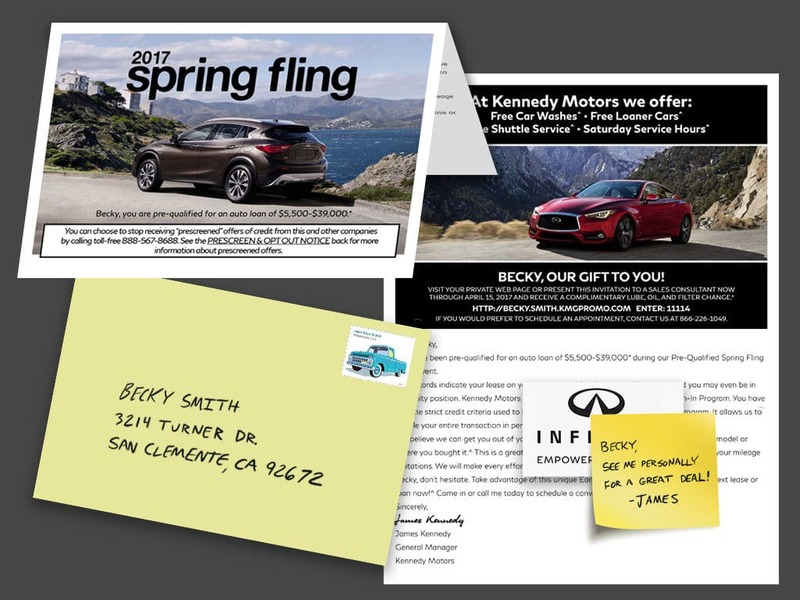 By ensuring every customer we target is already in the market for a vehicle, we make sure your marketing dollars are going to the right place. Looking to increase new car sales? Give your service department a boost? 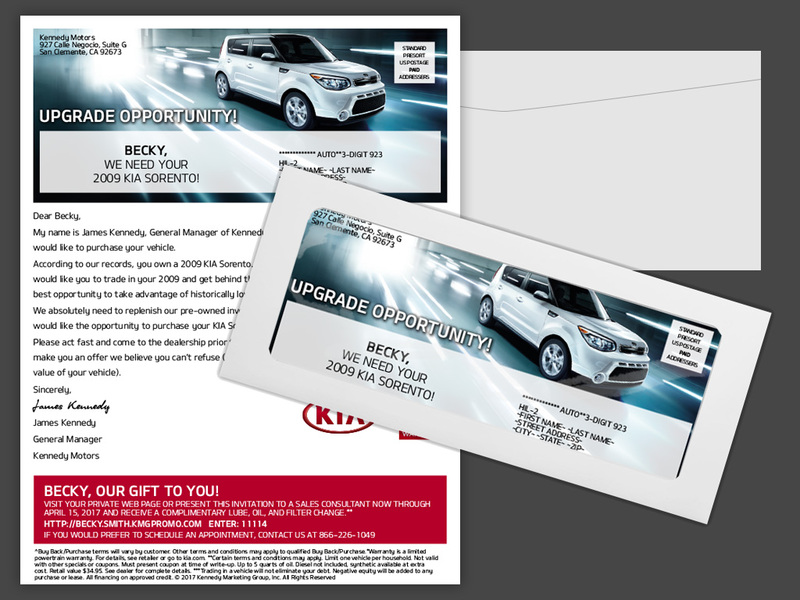 Promote a special sales event? Whatever your goal, we’ll help you achieve it.